New legislation introduced by Representatives Nita Lowey (D) and Peter King (R). "Washington has launched a direct attack on New York State's economic future by eliminating full deductibility of state and local taxes. New York is already the number one donor state in the nation, paying Washington $48 billion more than we get back. The elimination of our SALT deduction devastates New York more than any other state and costs New Yorkers an additional $14 billion. 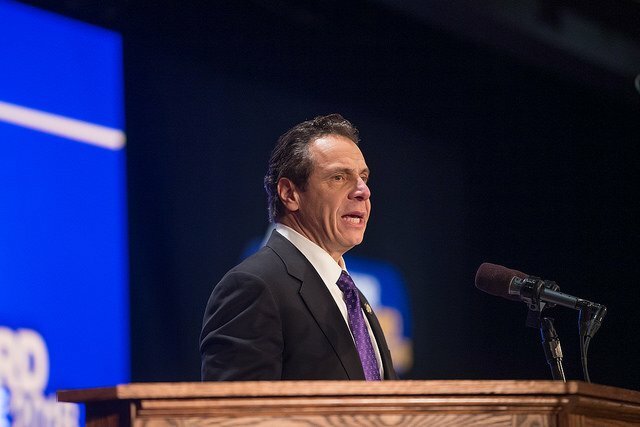 "I often say that we are Democrats and we are Republicans, but we are New Yorkers first. Today Representatives Nita Lowey and Peter King came together in a bipartisan fashion and introduced legislation to fully restore the deductibility of state and local taxes. "These members are doing what they were elected to do—protect New Yorkers. They showed that New York won't take this assault sitting down, and I will continue to do everything possible to right this economic injustice." Subject: LongIsland.com - Your Name sent you Article details of "Statement From Governor Andrew M. Cuomo On Bipartisan House Bill To Fully Restore The Deductibility Of State And Local Taxes"